My best days are the ones where I have a bit of time to sit and work with beautiful fabrics. Over the last month, I was lucky enough to create a new quilt with Corinne Haig's new fabric line for FreeSpirit Fabrics, Artichoke Garden. Last week, I shared some photos of this happy fabric line, as well as a sneak peek of the blocks I had been stitching. I'm thrilled to be sharing the finished quilt with you today. I named this one Santa Ana (and yes, there is a pattern available!) 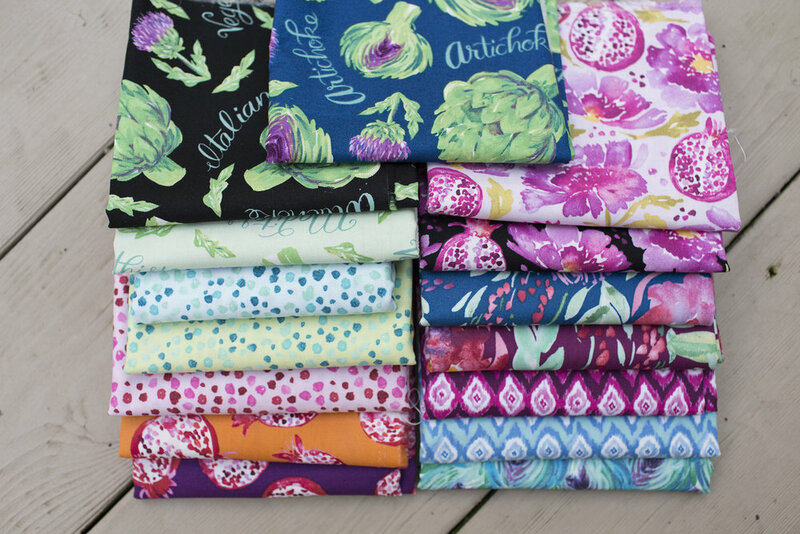 Corinne mentioned when designing this fabric line, she was inspired by her California roots. Well, I also happen to have California roots! I was born in Santa Ana, and I thought that would be a great name for this quilt and pattern. These colors and blocks were so cheerful up on my design wall. I especially love the punch of black. I find it hard to resist any fabric with blue - it's my favorite color after all - and this artichoke print that I used on the back was no exception. I played a little with the neutrals for my background, using a mix of FreeSpirit Designer solids in Winter White and Pearl in my blocks and sashing. I love how it gives the quilt a fresh feel. The Santa Ana quilt measures 51" x 64". I quilted it using a meandering free motion pattern with my BERNINA BSR foot. 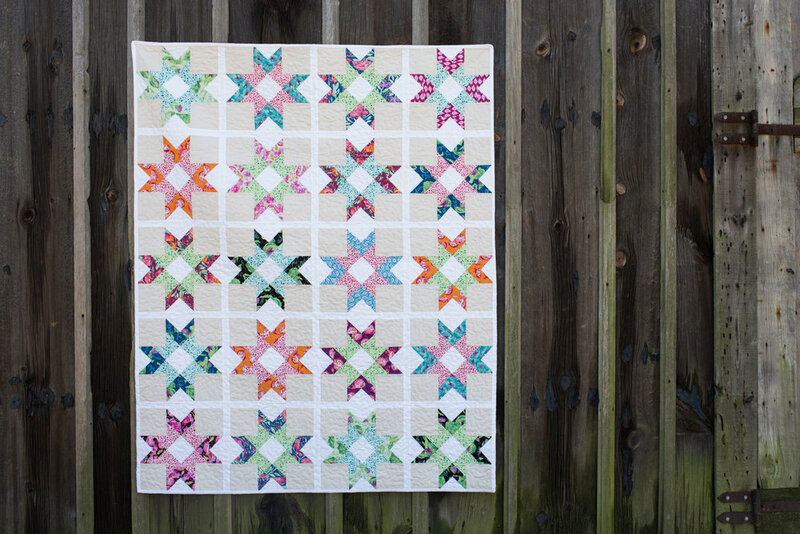 The Santa Ana quilt pattern is now available in my shop! Thank you so much to FreeSpirit Fabrics for supplying the Artichoke Garden fabric and Coats thread for this quilt.